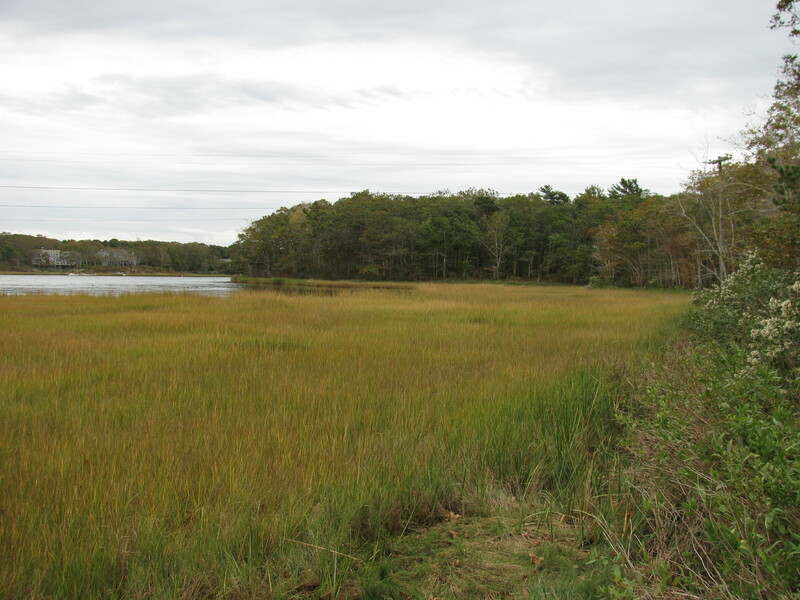 The southern coastal ponds in East Falmouth were a lure to Boston developers when the town was starting to grow as a resort community after World War II. As a result, the narrow strips of land between the salt ponds are heavily developed. In the midst of those bustling neighborhoods and busy roadways are 87 acres of quiet woodland, field and marsh bordering Bournes Pond. The town made the first purchase of the Sea Farms Conservation Area in 1985 just as The 300 Committee was getting started. The name comes from the short-lived Sea Farm Research Foundation that occupied part of a chicken farm on the edge of the pond in the 1960s. After the first 45.9 acres were purchased off Davisville Road, the town added 20 acres to the conservation area in 1988 and 20 more acres in 1998. The third purchase provided the only public access to Bournes Pond for shellfishing and fishing. Kayakers, too, launch from the end of Pacheco Path. 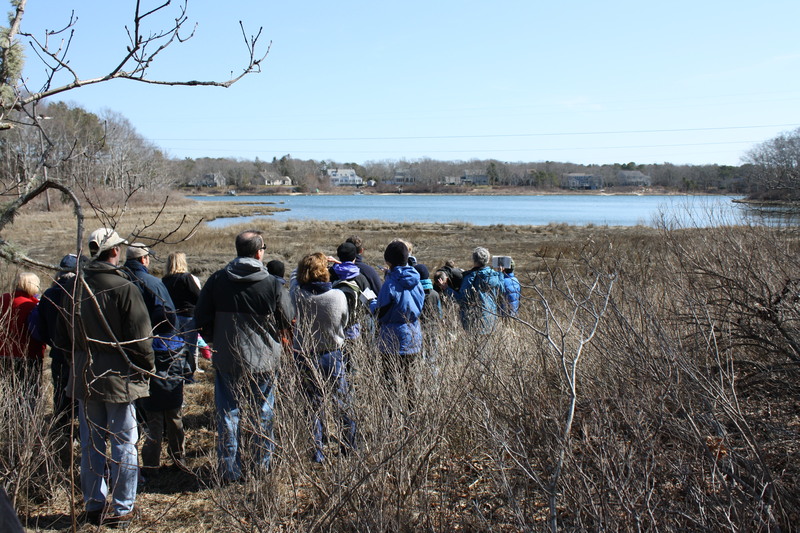 Sea Farms was one of the first areas identified by The 300 Committee for a trail system to encourage residents to visit their conservation land. A 1.2-mile trail was cleared that curves through the property to protect fox dens and habitats of other animals. A bench offers a view of Black Duck Cove, which is a small inlet of Bournes Pond; another bench sits above a larger cove, Israel’s Cove, which takes its name from an early resident of Davisville, Captain Israel Davis. Both are prime spots for viewing great blue heron, osprey, cormorant, marsh hawk and a variety of ducks. Access to Sea Farms is on Gayle Avenue, a mile south on Davisville Road from the light at Route 28 and Davisville Road in East Falmouth. Gayle Avenue is on the east side. Parking is available.